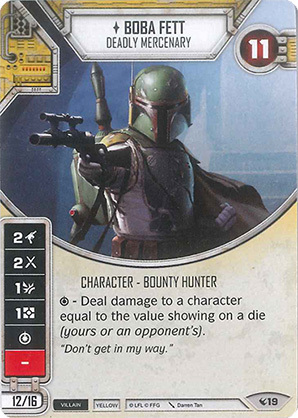 Charakter - Bounty Hunter. Punkte: 12/16. Ausdauer: 11. - Deal damage to a character equal to the value showing on a die (yours or an opponent's).